Hey Tildes, I got a job directly supervising a small team of 4 software developers. I'm very excited at the prospect and would like to put my best foot forward. To that end, I would like to have a discussion around a few topics. Feel free to expand the scope if you believe the conversation would be beneficial. I'm sure I won't be the last person to be in this position. I've done research, read, and watched videos regarding several of these questions; however, since Tilde prioritizes high-quality discussion, I thought it would be a fun opportunity to chat with others about these topics. As a member of a software development team, what are things that your supervisor has done that has had the greatest (a) positive and (b) negative impact? Supervisors, when you joined your new team, what was your methodology for reviewing the team, projects, and processes? What was the scenarios behind your review and the outcome? What would you do differently? Devs/programmers/geeks/etc: If you get paid to work with/in tech, what do you do and do you enjoy it? Why or why not? I'm a recent cs grad considering where I want to work in the vast field of technology. I'm particularly interested in hearing from people who love what they do. Thanks! Any resources exploring the gap between beginner and top 5% expert in various tech fields? I am looking for any resource that could tell me how much knowledge and training is needed to go from a beginner to expert, in let's say application software development for example. Or in artificial intelligence. If there isn't any one source, are there any general type of sources I can use to piece together one mega-source? Hey y'all, first time actually posting something here! Just curious what editor people use, whether its for coding, writing, or just the occasional note, whatever. I've gone through most of the well-known ones (vim, emacs, atom, vs code for starters), but only ever really messed around with vim enough to like it, and I've also been trying out gedit for the last little while and really liking it, but I'm curious to see what other people use! Desk setup / Battlestation Thread. 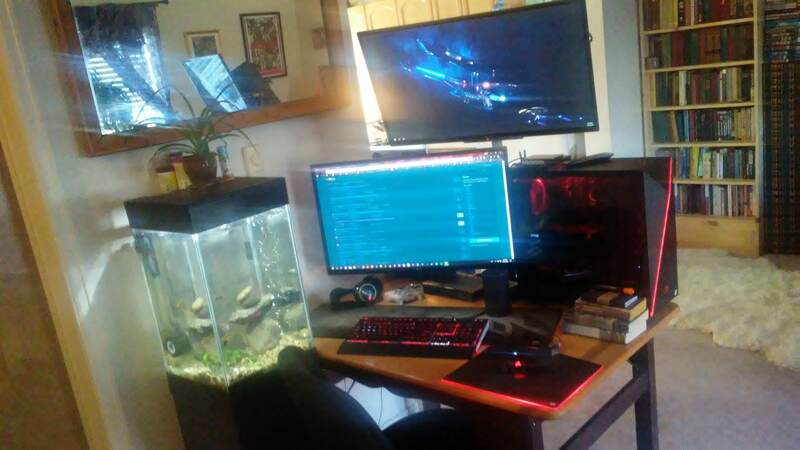 I am a pretty big fan of the PCMR Battle station posts where everyone shares their computers and desk setups. I have never seen one here so I figured I would start one! 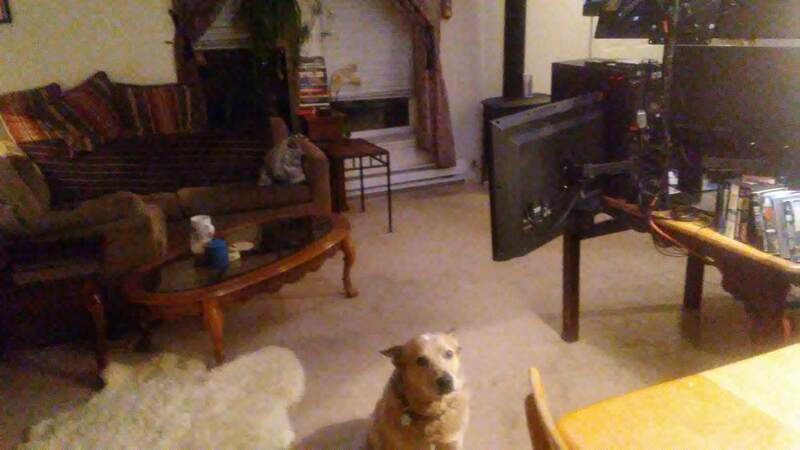 Here is my desk, three 32" monitors (two facing the desk, one facing my living room on the back ). 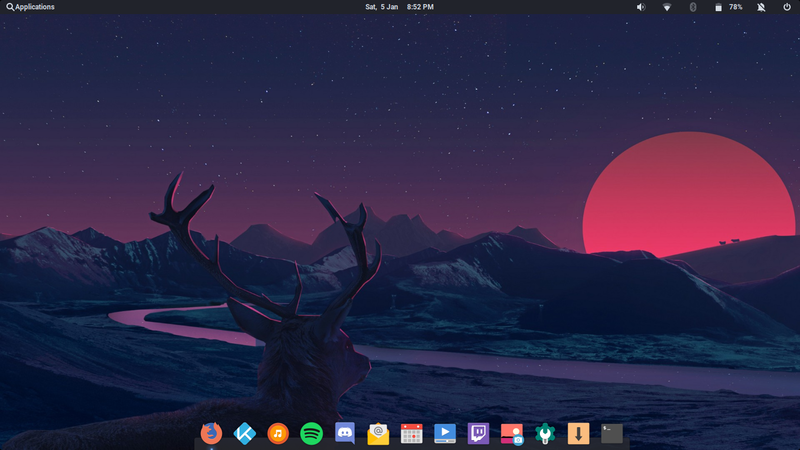 I primarily use my lower monitor and have background stuff on the upper (spotify, torrent client, youtube, podcasts, winamp, twitch, discord, etc etc). I have a bunch of old Xbox360 controllers and enjoy playing PC games on the couch on my rear monitor (as well as streaming obviously). The rear monitor also has a firestick and my only source of sound (other than my headset) is an Amazon Echo (which also controls my living room lights). The PC is a prebuilt from iBUYPOWER, it was my first time buying a prebuilt (I was hesitant to do so) and the only reason I did was because I was wanting to build a new rig right as crypto mining was driving up the cost of everything and I was able to get a great deal on this one. So far it has performed great. I still have two RAM slots open so I think that is the next thing I am gonna do. Lets see what you guys have! EDIT: sorry for the low picture quality, my cell phone is garbage. 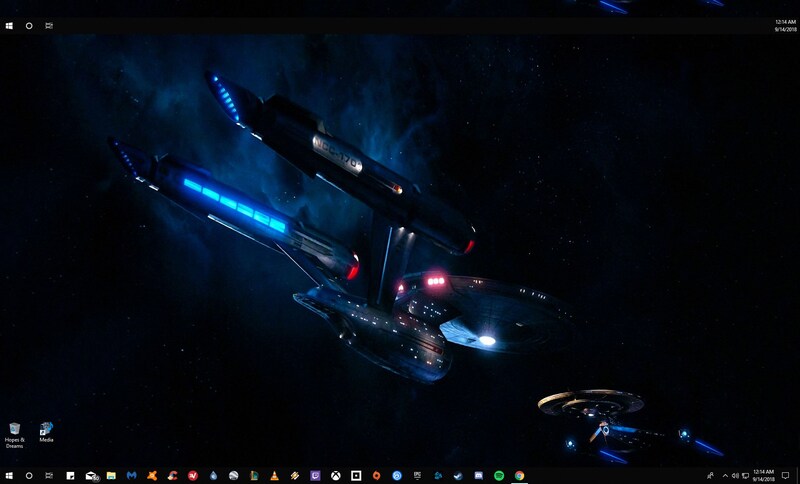 It's the same background on all three, but the taskbar is basic on the two secondary (and icons are only on the main). 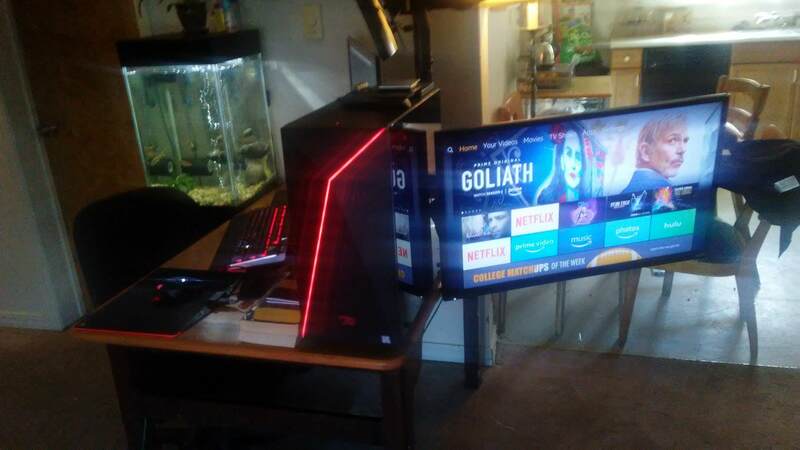 And if anyone was confused about the random monitor hanging off of the back of my desk this kinda shows it better. What is/are your go-to system fonts? By system fonts I specifically mean fonts that come shipped with an OS, things like Times New Roman or Cambria. What are your unsolved programming problems? I thought it could be fun to discuss problems that we've encountered in our programming or programming-related work and have never found a solution for. I figure that at worst we can have a lot of fun venting about and scratching our heads at things that just don't make any sense to anyone, and at best we might be able to help each other find answers and, more importantly, some closure. any interest in a ~comp book club? What computer/programming/etc. project are you working on this weekend? Also feel free to drop in any fun full stack JS frameworks. Anyone using MeteorJS these days? Thoughts on a ~comp survey of some sort? After seeing the "what OS do you use?" thread earlier, I was wondering what everyone here on ~comp would think of a sort of group demographics survey. I think that it would be super interesting to see the data on things like preferred OS, main programming language, preferred text editor/IDE, device OEM, etc. What are you using for your firewall in your home lab, hardware and OS? What are you using for your firewall at home? Anyone Use A VPN? If So, Which One? I'm primarily a non-programmer these days, but have a fairly extensive background in statistical analysis - seeking recommendations for best/cheapest/easiest-to-learn data visualization tools. I have access to PowerBI and Tableau through work, but any other recommendations are welcome. You can take the SQL-family relational database query skills for granted, but not necessarily noSQL, Hadoop or the other popular big data sources.